Posted by Doriano "Paisano" Carta in Blogs, Microsoft, Uncategorized. Microsoft has actually released an excellent new application! Windows Live Writer is truly a powerful and useful tool for bloggers! It’s like Word for the Web 2.0! I haven’t been this impressed from a Microsoft product in a very long time. Live Writer allows you to credit blog posts with amazing ease and spectacular results. It totally blows away another other blog editor that I’ve used before such as Google Docs, Zoho Writer, WordPress, Blogger, etc. Live Writer has no problems working with just about any blog platform as well. I was able to open/edit and publish to Blogger and WordPress blogs without a hitch. What I liked best about the experience was its ability to open any existing blog post from any blog on the fly. You could then make any changes and re-publish it instantly. The results were almost always exactly what it looked like in Live Writer. Inserting elements are also vastly improved on Live Writer. Simply click on the item you want to insert such as video, picture or link and Live Writer does all the dirty work for you. The options for manipulating the look and position of pictures is also very impressive. One of the best features of Live Writer is the incredible amount of free add-on plug-ins! Go to Live Writer Plug-ins and take a look at all of the things you can add to the experience! I instantly added a dozen must-have plug-ins! Plus, there are always new ones coming. Know what your blog post will look like before you post it, including photos and other rich media. Writer detects your blog theme automatically, including fonts, and displays it while you compose and edit. Writer works with most major blog providers, including Windows Live Spaces, SharePoint, WordPress, Blogger, LiveJournal, TypePad, Moveable Type, Community Server, and many others. Get started with your blog in minutes, thanks to automatic blog configuration. Post to multiple blogs: themes are automatically detected for each. Turn your blog into a story with photos, videos, maps, tags and other rich media. Writer publishes all of it automatically when post. Quickly link to previous blog posts and other Web pages. Insert and edit tables directly in your entry. Inline spell checker helps you polish your text. Easy hyperlink support lets you link your blog to the online world. Use the HTML view to edit directly in HTML. Use plug-ins from Windows Live Gallery to add more rich content to your blog like music feeds, emoticons and quotes of the day. Can’t find the plug-in you want? Make your own and upload it to Gallery for the whole world to share. The only thing missing from the Live Writer experience is the ability to save drafts to online storage accounts such as Microsoft Workspace Office Live, Google Docs, Zoho Writer, or any others. I have no doubt that it will come someday, so we’ll just have to settle for saving drafts to the local drive until then. Live Writer Blog offer useful information about Live Writer. Windows Live Writer Group is a discussion forum for Live Writer users. Posted by Doriano "Paisano" Carta in Blogs, News, Uncategorized. I don’t know about you but I’m tired of bashing Twitter every time they experience a problem with performance. I’m just as guilty as the next guy when it comes to bad-mouthing Twitter whenever they have a glitch. I vow right here and now to never complain about them again. Why the change of attitude all of sudden, especially after all the horrendous cache problems they’ve had recently? I owe it all to something I read today on one of my favorite blogs, TechCrunch. It was a surprisingly offensive post called “Amateur Hour Over at Twitter?” composed even more shockingly by none other than Michael Arrington, Mr. Techcrunch himself! In the post, Arrington utterly nukes Blaine Cook, who recently parted ways with Twitter after being one of its chief architects since its inception. I am convinced that there’s some major subtext behind this story between Arrington and the subject of his public flogging of Blaine Cook, . What else would explain the level of scrutiny that Mr. Cook endured in such a public manner? How could anyone place so much of the blame for Twitter’s woes solely upon one person’s shoulders? Was Blaine responsible for some of the problems that Twitter endured (as well as all of us)? Sure, that’s a given, but to label the work that he and his team accomplished as “amateurish” is just plain inexcusable. After doing some more research into this I came across more starling information that changed my own opinion and view of Twitter and any other web service for that matter. Apparently, one of the most successful communications successes of our time (twitter) accomplished their massive popularity with a staggering engineering staff of three (3) people, including the “incompetent” Blaine Cook. Not too shabby for rank amateurs, huh? Look, as a member of I.T. and over a decade of experience with networking infrastructures, I will admit having a slight bias towards under-manned tech staffs. I know what it’s like to deal with the “spin gold from straw” expectations like these guys have done for the past few years. That is why it’s so disappointing to see anyone get disrespected for a job that really should’ve been praised instead. To learn more about the complexity of the Twitter infrastructure and the tremendous challenges they have dealt with, simply checkout Blaine’s presentation: Big Bird (Scaling Twitter). Most of us won’t fully understand the magnitude of their challenges but I think this presentation will give at least a glimpse at some of the reasons Twitter has experienced the problems they’ve had. As a matter of fact, I’ve come away from all of this in amazement that we haven’t had far more serious problems than we’ve all had! I spoke to a couple of friends who are rock star Ruby on Rails developers who’ve seen Blaine’s presentation and who use Twitter on a regular basis. Our conversation was incredibly enlightening and revealing. 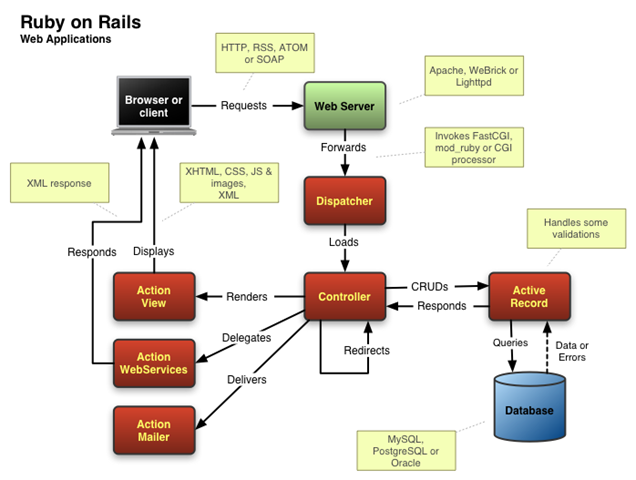 The following image is a basic diagram of a simple Ruby on Rails web application, which is what Twitter was built upon. Just imagine a diagram for today’s Twitter. It would dwarf this design because they encompass countless databases and web servers that span the globe with no end in site. The more of us that sign-up and add others to our network, the larger the Twitter databases and network grows. Obviously, this also means the greater the possibility of performance problems and downtime. I’m not making excuses, just telling it like it is, folks. It’s all part of growing pains. While writing this I just read a news flash on Techcruch about Twitter’s VP of Engineering and Operations Lee Mighdoll leaving after only three months. No one seems to know what’s going on at Twitter these days. Obviously, there is something major taking place at the corporate level. Rumors are running wild about Twitter scrambling for funding and potential sale of the service, but it’s all speculation. The lack of a visible business plan and revenue generation stream only adds more fuel to the fire of these rumors. All I know is that we shouldn’t be so quick to throw anyone under the bus without first learning more about the facts. I know I’ve been bad about that in the past and I will not repeat those mistakes ever again with Twitter. 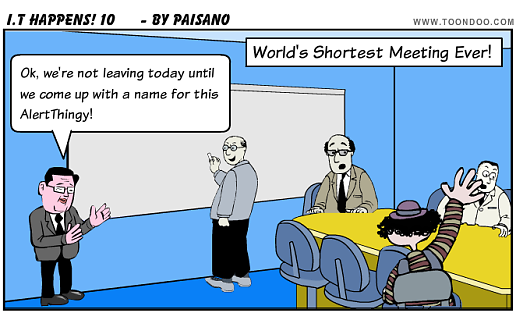 These nameless, faceless services have living breathing human beings who take pride in their work and careers. Also, there’s always more to the story than meets the eye. Howard/Baines must’ve had this experience when they brainstormed for their wonderful new web app. Here are all 10 I.T. Happens! 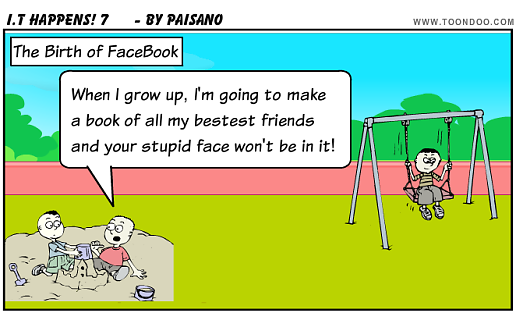 Posted by Doriano "Paisano" Carta in Comic Strips. This one illustrates the natural talents that some of us have no matter what the age. 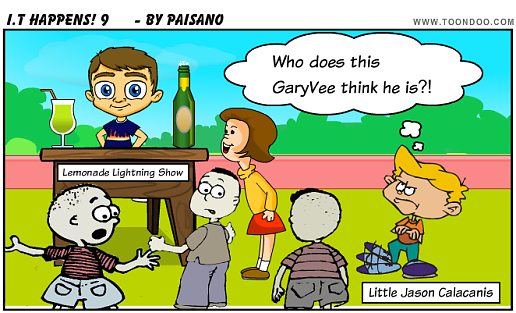 I imagine that GaryVee was always a dynamic personality, even as a kid selling lemonade. Here’s the entire I.T. Happens series. Posted by Doriano "Paisano" Carta in Blogs. St. Louis now has a blogger’s guild! What a great idea! I think this will start a new trend all across the country with chapters in every state, culminating in a universal centralized Blogger’s Guild and union. Will it have health benefits and 2 weeks of vacation? Ok, that might be premature but the idea is still fantastic and long in coming! Even if you’re not in the St. Louis area, go to the St. Louis Blogger’s Guild and show them some support and encouragement. I think it’s a cool thing they’ve started that can become important to us all someday soon. 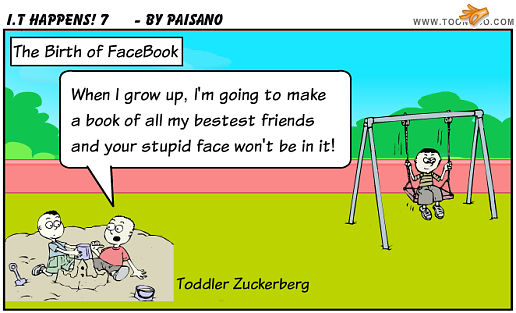 Posted by Doriano "Paisano" Carta in Blogs, Comedy, Comic Strips, IT Happens. to get his opinion of it since he was the original name that I used in this comic and I wanted to make sure that it wasn’t offensive to him in any manner. Well, he confirmed that it was fine and that it didn’t bother him in the least. 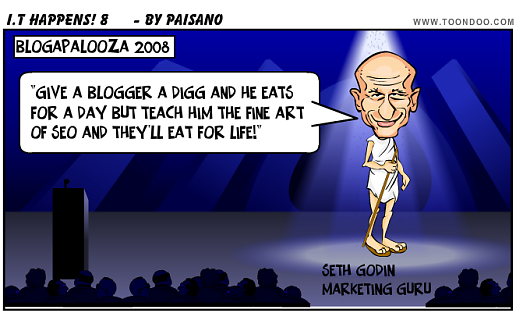 However, he made an interesting comment when he said “You know, he kinda looks more like Seth Godin”. Well, shoot, I thought. Of course it does! So, off I went to double-check and here’s what I found. First, here’s Darren Rowse A.K.A ProBlogger. By George, I think ProBlogger was right! Posted by Doriano "Paisano" Carta in Browsers. In this day and age of social networking frenzy, I am surprised the concept of collaborative browsing or Co-Browsing has not caught on yet. How is that possible? Doesn’t it make sense to be able to see who’s visiting the websites that you are visiting in real-time? Wouldn’t it be cool if we could communicate with those people who obviously have the same interest as you do because you’re both on the same website? I think it would be a blast to be able to surf with friends too. We can chat and comment on what we see, perhaps help each other out with finding what we’re looking for. Perhaps collaborate on a project too. We have tools that almost give us this ability. There is the MyBlogLog widget that shows who has visited you website but that isn’t always real-time and there’s no way to communicate with them on there. There are also many types of IM widgets you can embed on your site that will allow you to chat live with visitors but it still isn’t the same thing as co-browsing because you can only do that on a single website, your own site or blog. Co-browsing would allow you to do this on ANY website in real-time. Enter Bumpin, the best co-browsing experience I’ve seen in many years. It allows you to do all of the things discussed thus far such as viewing everyone visiting the same websites you are and the ability to chat live with them. You can remain invisible or become visible any time you want with the click of a button. You can send broadcast messages to everyone visiting the site or send private messages. There’s a small plugin to install but there’s also a web-version you can use in case you are prevented from installing anything at work or on a public computer. The only downside is that Bumpin only supports the Firefox browser at this time. Here’s a 5 minute demo of what it can do. I was informed of a new service called Medium http://me.dium.com (see comments section) that really impressed me. 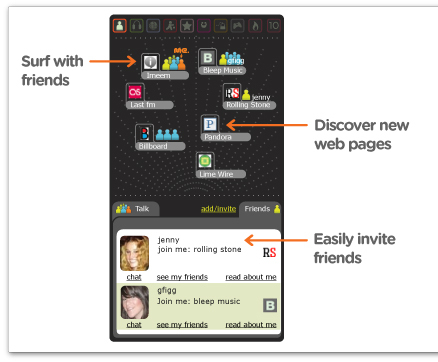 It’s what I’ve been envisioning for the future of the web, a more interpersonal and collaborate surfing experience. Install a small plugin and it changes your web world. I think they have the right idea here and I look for big things to happen with this technology. Here’s an overview of what Medium offers. Here’s their tutorial that gives more information about their innovative service and the wave of the future. I am hoping that this feature will become a common part of every browser and thus part of everyone’s browsing experience someday soon. I fully expected the Flock browser to have this ability but I was stunned to see it didn’t. Sure, Flock had a cool Twitter plugin but not a true co-browsing experience like Bumpin does. I still think Flock will add this ability very soon. Perhaps Microsoft will follow with their Internet Explorer and Apple with Safari? We shall see. Posted by Doriano "Paisano" Carta in Blogs, social networks. At first, many of you will think Moonri.se is a silly and useless idea. Who would want a service that is basically a twitter for emotions and feelings? Can’t we just post how we feel already on Twitter, our blogs and other mediums? Sure, we can and we do, but Moonrise does it in a more powerful and compelling way. Most of all, it’s fun too. There’ve been a couple of services that provided the ability to share your current emotional status, but none of them provided nearly as many different ways to convey your feelings as Moonrise does. It allows you to include other elements to reflect your current mood such as photographs, videos and even your favorite quote. This last option isn’t a surprise when you consider that the founder and architect behind this service is Amit Kothari, who also founded QuotationsBook, which is a social network for quotations and covered in “Quotations 2.0“. The most exciting part of all this is that there will be an API available soon to moonrise which means it will become a conduit for other apps and services to share feelings. They are also “developing a feature that lets you bookmark or post feelings about a URL via a small button you can put anywhere. 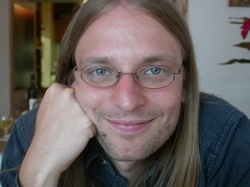 This will be more meaningful than digg, and also a different way to bookmark links”. I will admit that I’m a sucker for this kind of thing because I’ve always been a touchy-feely kinda guy. I believe words and emotions are powerful things. Why not use everything technology has to offer to share how we are feeling? Why not use photo’s, videos and quotes to reflect our emotions? Here’s some more information from Moonrise about why it’s a good thing to share our feelings. http://moonri.se/site/about. DaCort has done it again. He’s taken an already cool twitter tool, TweetSTATS and made it even cooler and more useful by giving us our very own TweetCloud! Not only can we view all kinds of cool statistics about our Twitter usage but now we can see what we and others tweets the most about! Some of this data will be surprising so be prepared. The quickest way to get there is to save your personal URL: http://www.tweetstats.com/graphs/TwitterName . 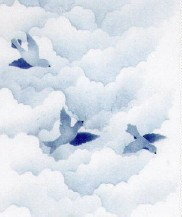 The popularity of studying Tag Clouds on blogs has naturally given birth to TweetClouds. Check it out and learn a thing or two about yourself and your friends.